Bees are farmers’ best friend as helps in pollination but are also used to provide highly targeted pest and disease management solutions! This agricultural innovation has been introduced by Bee Vectoring Technology (BVT). The technology is also named as Bee Vectoring. BVT is the first company to commercialize this technology in North America. The idea has been tested by universities as well as tested by companies in Europe. BVT is the first to offer a perfected, commercialized system to the US. In our innovative technology bees are able to hive, and drop off trace amounts of product onto each flower when they pollinate. The bees deliver our beneficial fungus right to the flower, which is the main portal of entry for many diseases. Our product consists of a beneficial fungus that is specially formulated to allow the bees to carry it to the plants. 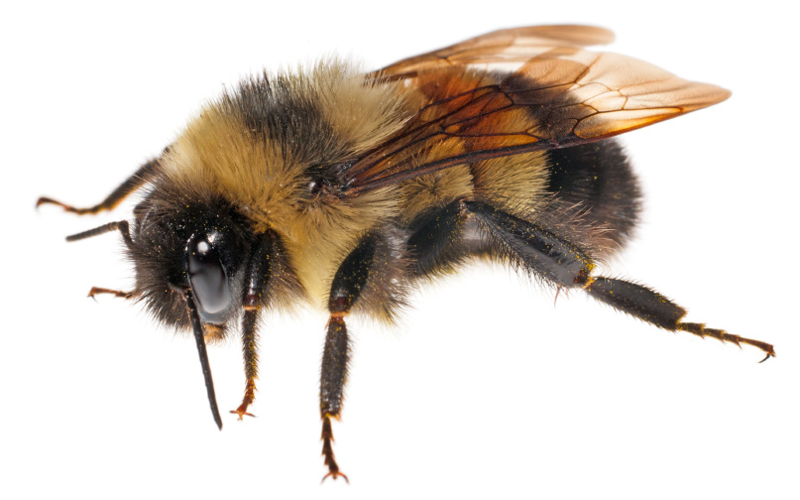 The fungus is harmless to the bees and acts as a pioneer colonizer, meaning it outcompetes negative fungi by occupying the space in the plant before they get there. This also means we are a preventative system. 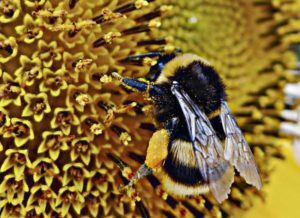 The precession and daily delivery that bees provide can use far less product than would be needed with any other delivery method, and we can be sure it goes directly to the area that needs it most. 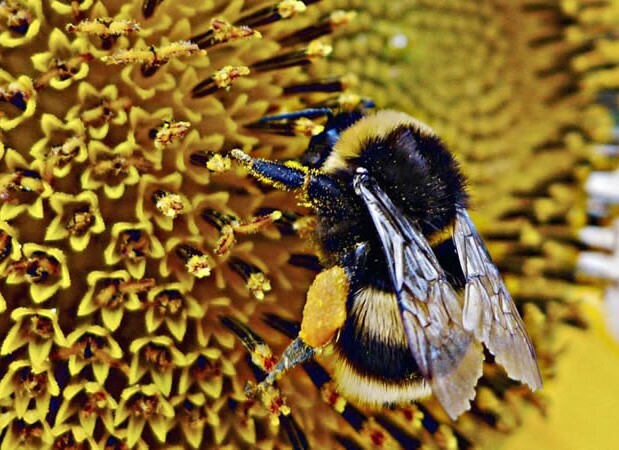 As of right now we don’t control pests, however, there is a possibility for bees to deliver another biological control that may help control insect populations, we just need to make sure it is also 100% safe for the bees. Native bumblebee that is provided by commercial suppliers in North America and Europe is used bee vectoring process. We are also testing a prototype for using honeybees to deliver our product as well. 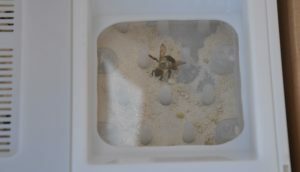 In this technology, an easy to change tray ‘Vectorpak’ is placed inside the bee hive in the beginning of the pollination process in the field. Vectorpak is a specially designed tray containing the biological control called as Vectorite. The tray needs to be replaced every 3-4 days. The Vectorite is combined with the beneficial fungus so that the total active ingredient is about 10% of product. We fill the Vectorpaks with 13g of product, which means about 1.5grams if it is spores. That equates to trillions of tiny spores in a Vectorpak. The only prerequisite to use our system is to have the crop in the farm that requires pollination and is affected by a disease we can control. It also helps if the grower is willing to try new technology and is open to using biological controls. BVT has tested its technology in many farms in Canada. Farmers have received positive results. The technology has been tried in sunflowers, strawberries, blueberries, raspberries, and blackberries crops. We have also done tests in tomatoes, almonds and canola but we are still in the preliminary trials. Most flowering crops that need pollination could use our system, as long as we are providing the right biological control. Our current beneficial fungus works very well against diseases like botrytis, sclertotinia, monilinia, and other diseases that enter through the flower. Generally crop yield has been increased by 15% or more, and also saved farmers about 25% of their spray applications. Even the growers who were reluctant to decrease their spraying had an increase in yield and better disease control. Bee vectoring system offers multiple benefits to the farmer. In the beginning farmers will see an increase in yield for both the added pollination, as well as from the lower disease pressure. Also, the grower will not have to spray pesticide as often, saving him time and labour, as the bees only require a very simple tray change every 3 days that takes few seconds. Also in the farm, workers will be able to carry on their routine activities even during the bee vectoring process as bees do not harm anyone and are busy pollinating. Lastly, as we use an organic natural fungus, the growers will not have to worry about any residue on their crop, which is also great for the consumer and for native bee populations. In time to come BVT is looking to collaborate with other companies to deliver more biological controls for a variety of diseases. We also plan to expand into other crops that we feel will be successful using our product. Currently, we are focusing on the US market as it’s the most accessible for a company of our size. India is a massive market with huge potential which BVT is interested in exploring in the next few years.